Beavers can chew down your most precious trees and shrubbery in the blink of an eye. In one night your trees can disappear and a new dam be built rapidly. 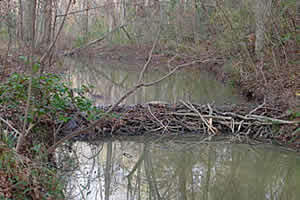 Once the dam is in place, the area will now flood and the flooding will kill the rest of your foliage.